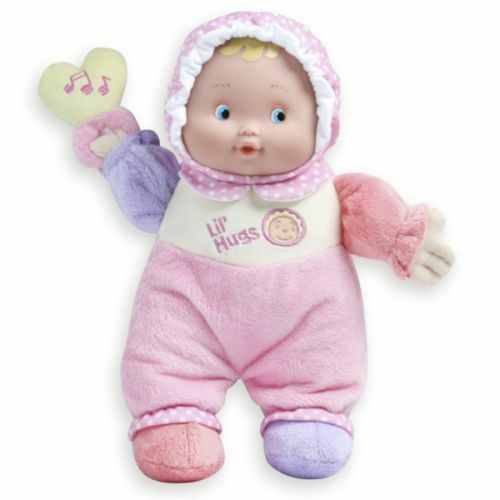 A soft, plush baby doll with all the sounds and colors that babies enjoy most. The right hand of the doll holds a cute rattle and the left hand and feet make a "crinkly" sound to keep your baby entertained. Easy to wash and care for. 12" tall. Infant+.